This post is in collaboration with and sponsored by Wines of Provence. Something I’ve realized the older I’ve gotten is that it’s hard to find time to see friends and family as much as you’d like to. Sure, we make an effort, but schedules get crazy. Between work, family, kids and just general life craziness, it becomes hard to find a time and place for everyone to come together. Luckily, my best three girlfriends and I all have birthdays throughout the year. We use our birthdays as a quarterly check in to make sure we spend some quality time together. Now the good thing as an adult is that you can have wine at any time. Not to mention, I’m a total wino and so are the girls. We don’t discriminate against wine, but recently we’ve been on a rosé kick. As a side note, drink responsibly and make sure you plan to catch a Lyft in case one glass of rosé turns to 4. In case you didn’t know, Provence wines are premium rosés and they have created the gold standard of rosé around the world. 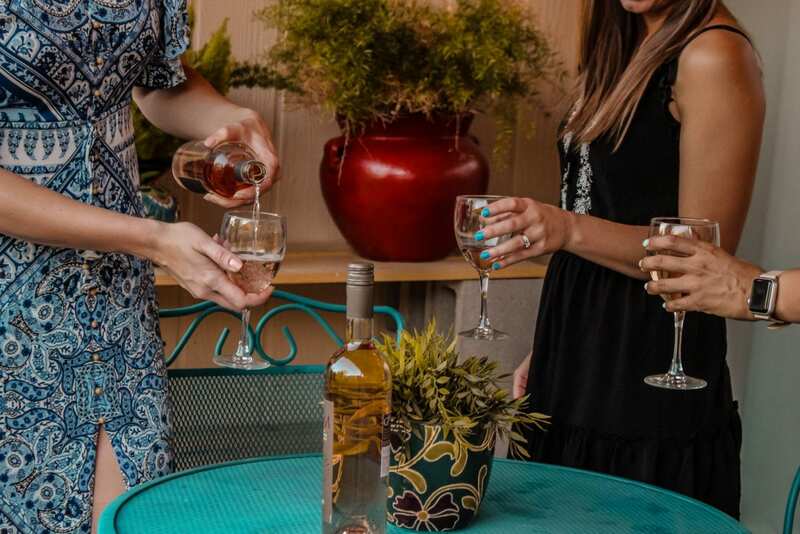 If it’s going to be a proper girls’ get together, we need some rosés from Provence. The best thing I’ve realized is that you can drink rosés year-round. It does not need to be the spring or summer, even though it’s spring or summer year-round in Arizona. Since it was Kelly’s birthday, we gave her the honors of pouring as much wine as she wanted. Since we indulged ourselves a bit that night, I thought I’d give you a few tips on pairing wine with the best evening ever. I've got some tips on how to make an evening in with rosé even better. Make sure to have snacks. We absolutely love crackers, cheese, hummus and some veggies. Having snacks when there’s wine is imperative to a successful evening, and cheese is always the best. Anytime I bring wine, I always make sure to bring some things to snack on, because you’re bound to get hungry. Pop out some games. For Kelly’s birthday, we did a game night and it was seriously so much fun. I cannot begin to tell you how much my sides hurt, after laughing for hours. Games make everyone more carefree and just bring out the best environment. Keep it chilled. When it comes to rosé, it’s so much more delicious if it’s chilled. Something about the cool temperature makes rosé taste that much better. Make sure to get it chilled. Now that we gave you our tips, you know how our night went. As the rosé was flowing, the games got funnier and funnier. Not to mention competitive, since we all want to win. Some of our favorites were Taboo and a game called Mafia. I know what you’re thinking. You’re not even 30, and you’re at home drinking wine and having a game night!? Listeeeen, game night is so much more fun than being out at the club. It was also way more fun, and just so much cozier. I am all for staying in, especially when I have the best possible company. 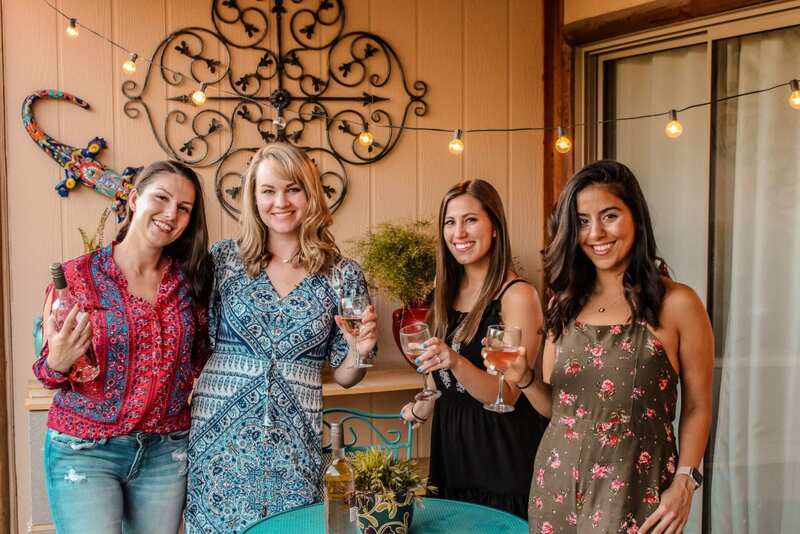 What are some of your favorite tips for having a successful wine evening with your girlfriends?